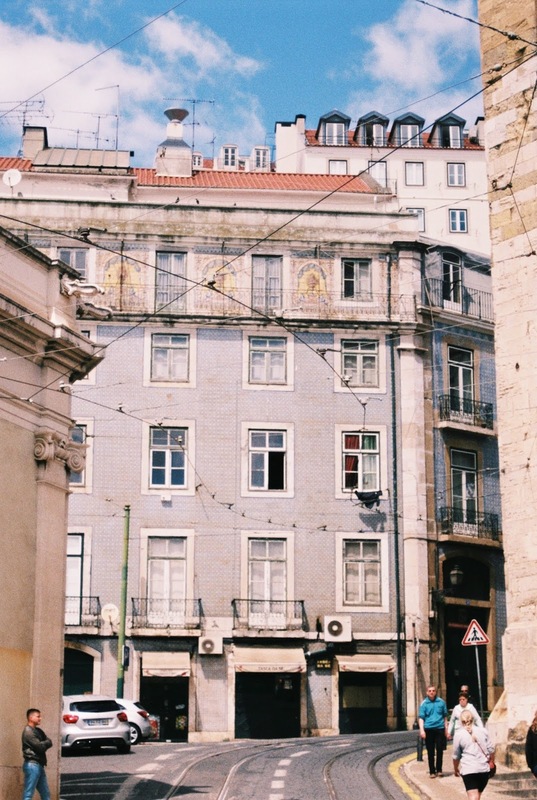 This summer I got to visit Lisbon, a place that has been on my travel list for so long! 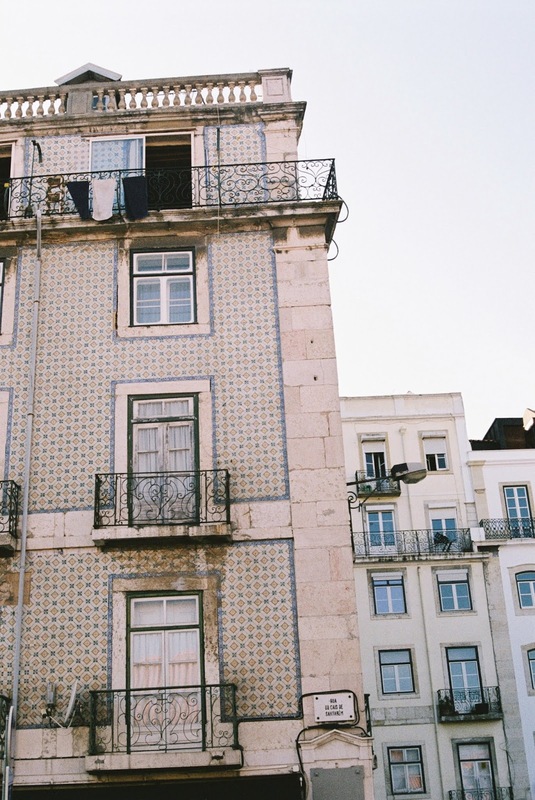 I didn't know much about the city before we went, but from the photos I'd seen of the beautifully tiled buildings, the famous trams & overall vibrancy of the city - I was drawn to it immediately. When we arrived it definitely did not disappoint and it was so much more than I had even imagined. 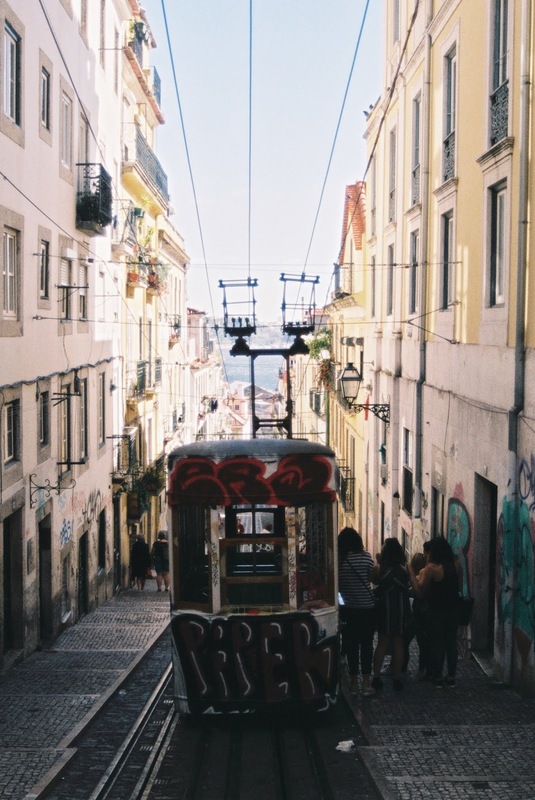 Lisbon is so lively and bursting with culture but the pace of life there doesn't feel manic. 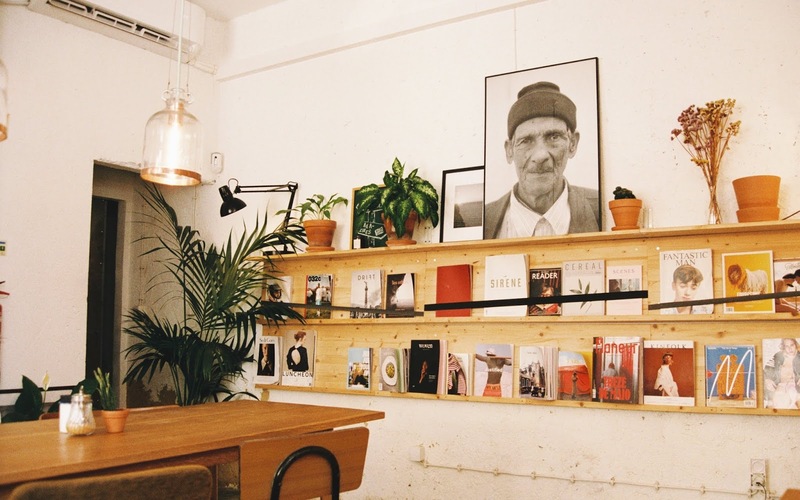 It has a very laid-back rhythm which gave us the perfect balance of seeing everything on our lists while also taking much needed time to chill out and relax on the balcony or at a cafe. The city feels modern but still very respectful of it's tradition and history. 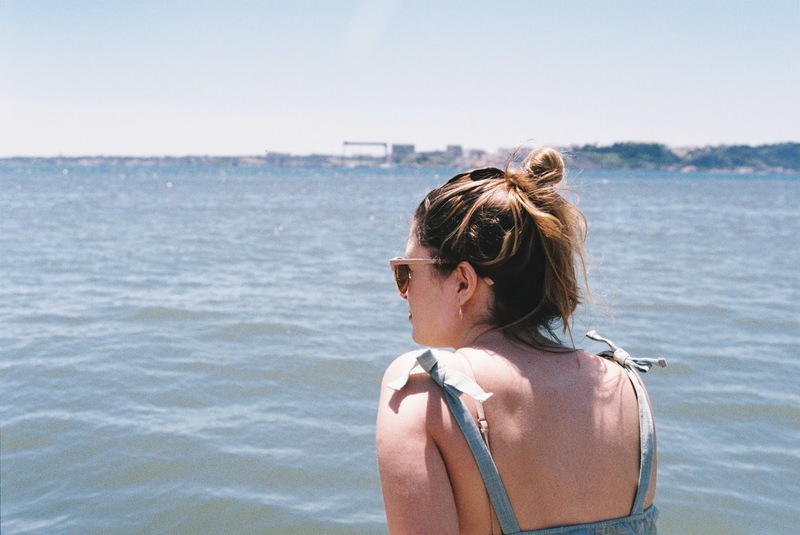 The more we explored the more I couldn't believe people actually get to live in this gorgeous place that's like something out of a film with hidden gems on every corner! 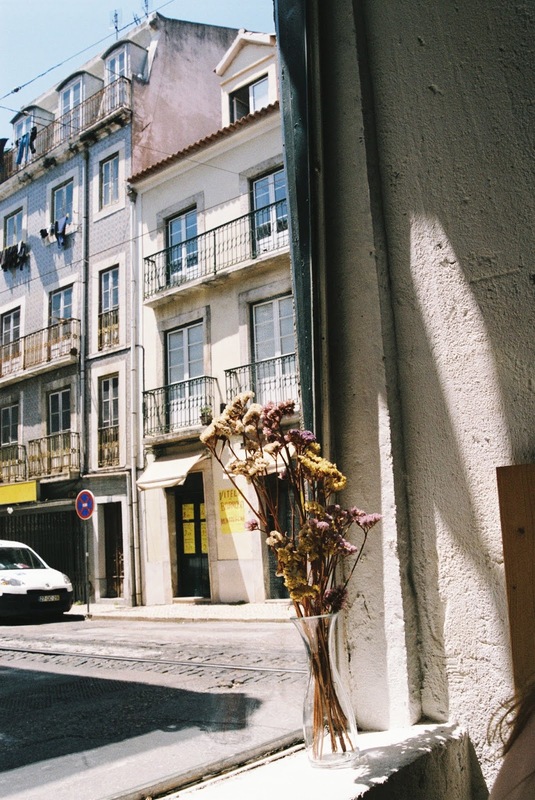 - Alfama: One of Lisbon's oldest districts & where we stayed. I'm so glad we stayed here as it felt like a very authentic part of the city, somewhere you could spend hours getting lost in the winding, hilly streets. 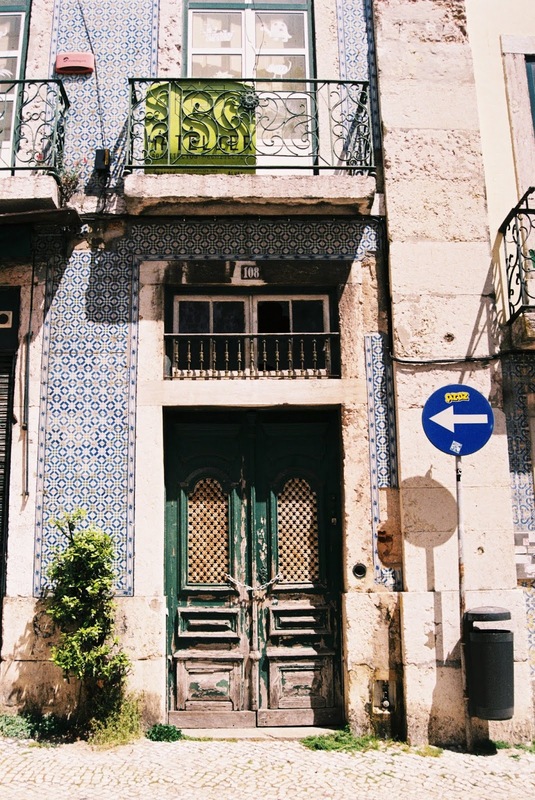 It's like a cobble-stoned labyrinth with something interesting around every corner & the best little shops to pop into for Ginjinha! 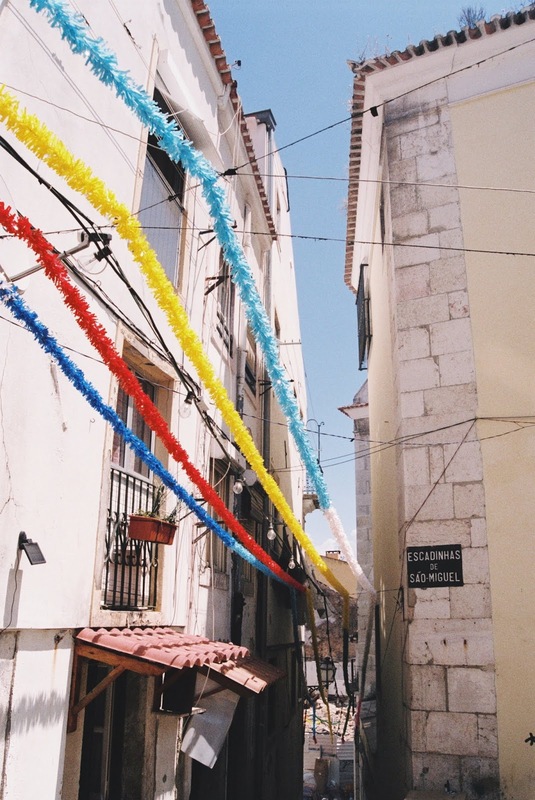 There is also an open-air market called Feira da Ladra nearby that you could easily spend half a day at. 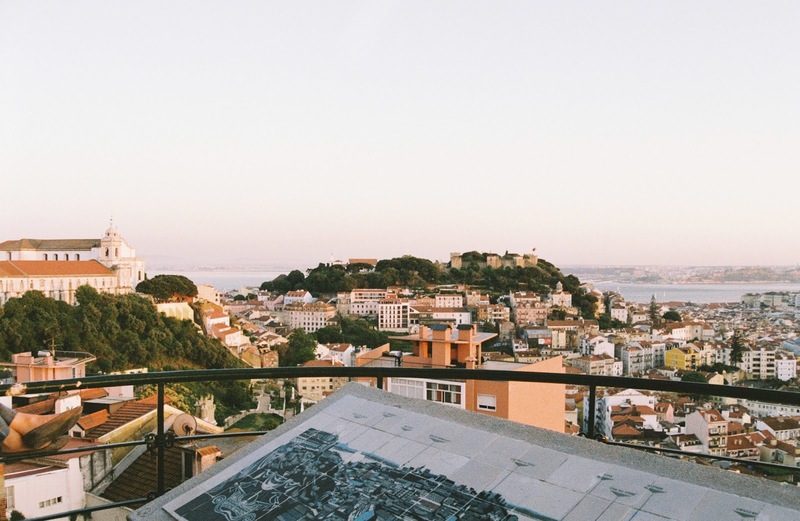 - Graça: Incredible viewpoint overlooking the city and Lisbon Castle. - TukTuk city tour: We did a walking tour and a tuktuk tour which were both great but I felt the tuk tuk tour was an extra bit more special as our guide was so knowledgeable of Lisbon's history, going out of his way to show us incredible street art and wonderful places steeped in history but outside the typical 'must see' tourist checklist. 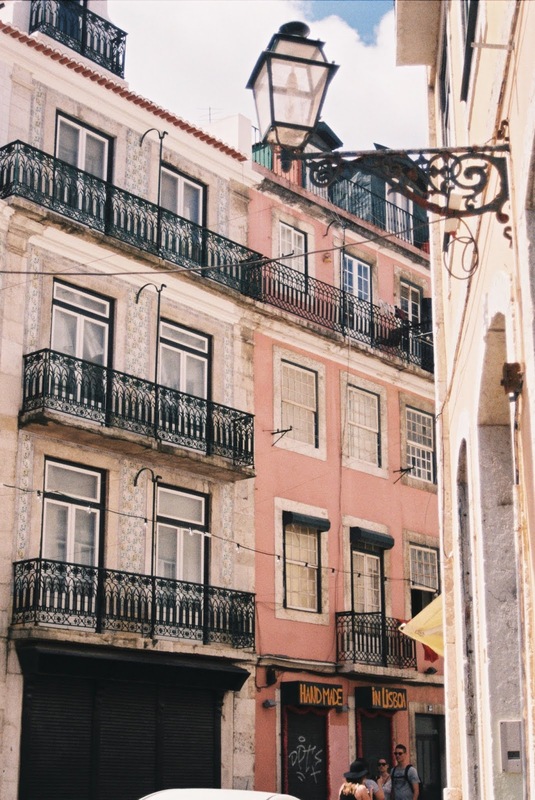 - Pasteis de nata, obv. 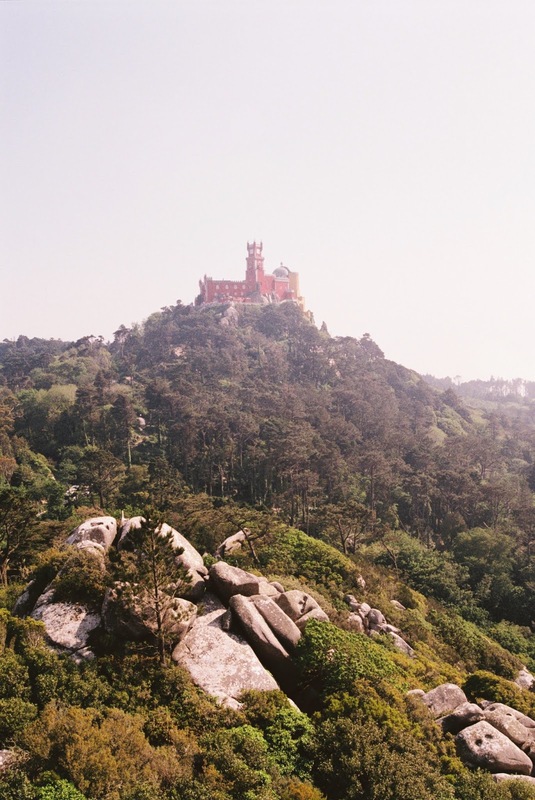 If you fancy getting out of the city for a day trip, Sintra is a dreamy forested village that seems world's away from the hub of Lisbon despite only being about 30 minutes outside the city. It has an enchanted, fairytale feel to it because of the extravagant pastel palaces & Moorish Castle that sit over hills of lush greenery. 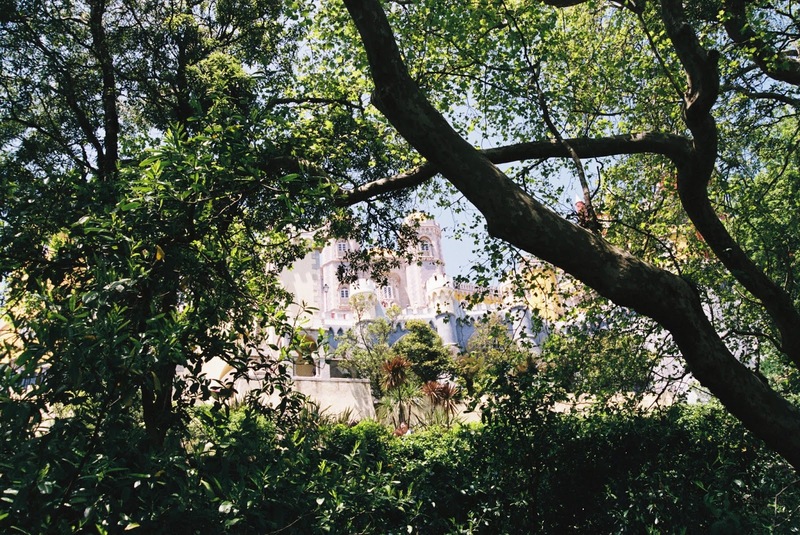 As there are 10 national monuments in Sintra, you definitely won't be lacking on things to check out. It's a very popular tourist spot & pretty crowded, but I felt it was really worth visiting for the ornate palaces & ancient monuments. One thing I'd say is eat in the town before you trek up or bring lunch with you because the park restaurant is way overpriced and waaay underwhelming! Being honest, I think I was possibly most excited about the food.... As soon as we booked the trip I was immediately saving cute cafe's & restaurants on Instagram to visit for brunch (yes i'm basic). 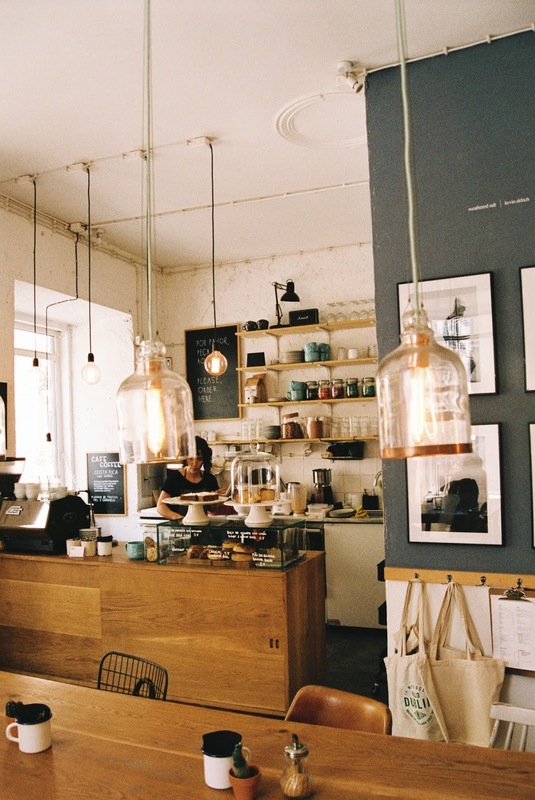 Lisbon has such amazing places to eat & each one will give you major decor envy! 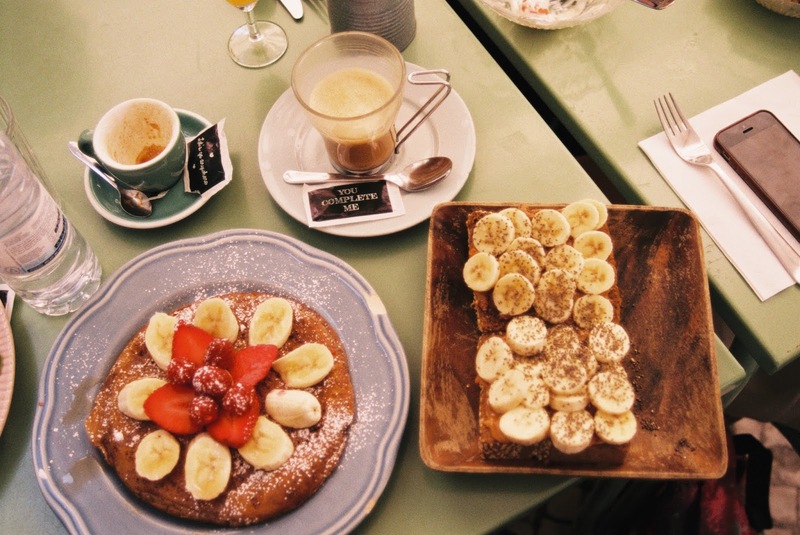 So many delicious, healthy options to suit everyone's tastes which is great when you're travelling with a group - some of our faves were Heim Cafe, Nicolau Lisboa (prepare for long queues here) & Hello Kristof. Everything is so affordable which is great if you're someone who loves to try out a lot of different things on a menu like me! 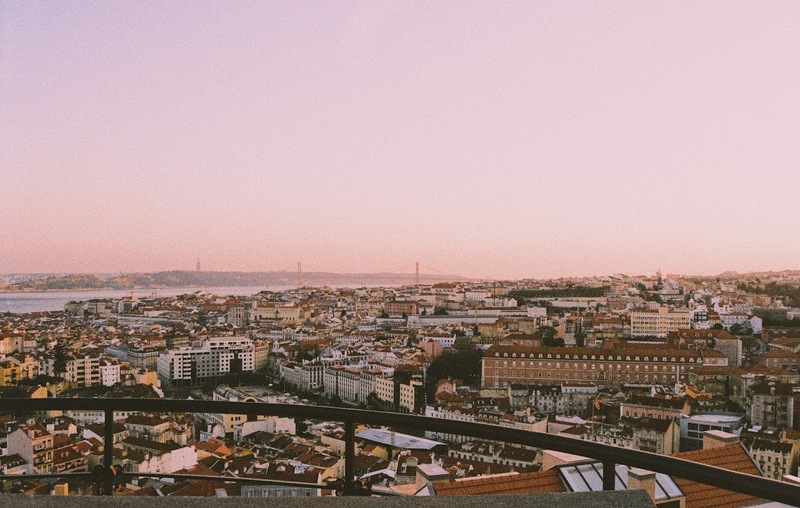 One of my favourite things that we did on this trip was visit the Graça viewpoint at sunset. After a long day of walking around the city it was so nice to chill out here, share a bottle of wine and take in the incredible view while talking about our day. It seems to be a very popular place to go in the evening for both tourists and locals, but the atmosphere is still very relaxed and it doesn't feel crowded at all. This is such a great spot for a well-earned rest after a day of trekking around. We loved it so much that we came back again on our last night! 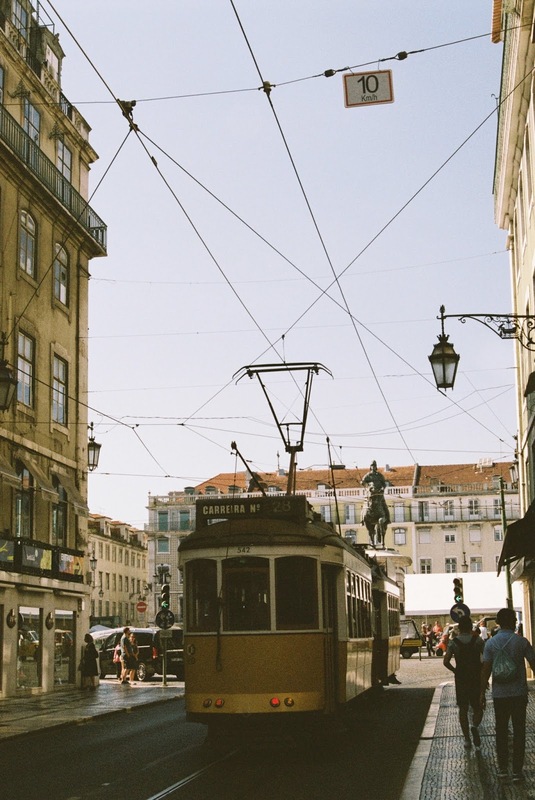 I absolutely loved Lisbon and will definitely be returning soon. This has been one of my favourite city break trips so far & doing it with great friends made it extra special. 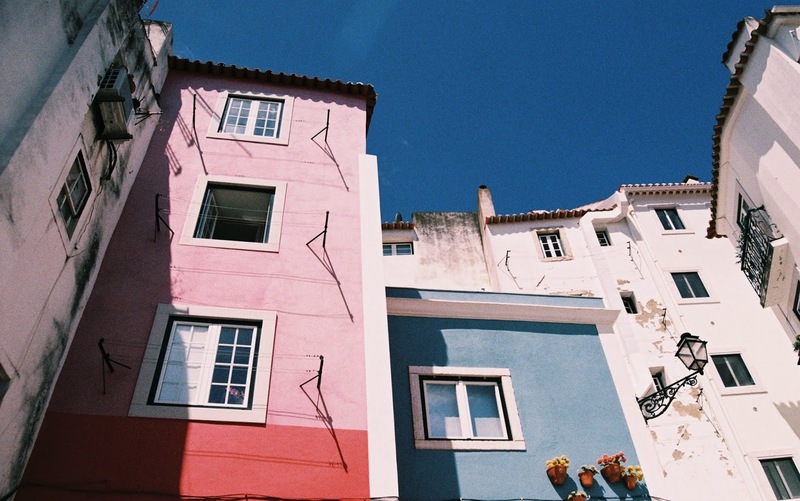 From the gorgeous architecture, it's lively yet laid-back atmosphere & the delicious food - I know there's definitely a lot more to experience here and I can't wait to visit again!